Prepare yourselves, Chilling Adventures of Sabrina fans, because it seems like some of your fave actors from the show might be cozying up to one another IRL. You heard that correctly, fam! In a recent Instagram photo posted by actress and model Courtney Eaton, Ross Lynch and Jaz Sinclair appear to be very comfortable with one another. Need proof? Look no further. As you can tell, Courtney went ahead and uploaded a bunch of group shots, which were all from her birthday celebration. One in particular, however, shows the 23-year-old actor and the 24-year old actress looking super cozy, making us wonder if perhaps they’re more than friends and co-workers. But wait, there’s more. For those of you who don’t know about Ross’ dating history, Courtney is actually his ex-girlfriend, which might sound pretty awkward, but apparently, the two are still close friends. 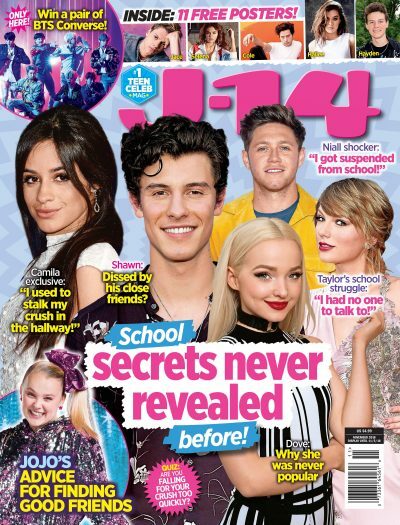 Plus, it seems like everyone got along just fine from the photos, which leads us to believe that maybe nothing is going on between the Austin & Ally star and the Sabrina actress and that they’re just great friends. If you’re new to the show, allow us to fill you in. The R5 member plays the iconic role of Harvey Kinkle, while Jaz plays the role of Rosalind Walker, Sabrina’s best friend. In the series, Harvey and Sabrina are each other’s love interests, so of course, diehard fans ship Ross and Kiernan Shipka over basically anyone else. Regardless, we’re still keeping our eyes on Ross and Jaz’s relationship outside of the show, because let’s be real: We wouldn’t miss an off-screen Sabrina romance for anything. And while many fans are probably wishing it were Ross and Kiernan, we have to admit: these two would make a pretty adorable couple.